Crude oil price volatility has created uncertainty around petrochemicals pricing, making it more important than ever for industry players to understand cost structures, product yields, margins and price drivers. Exploring how production and market dynamics have evolved over the years, this course provides crucial insights into the workings of the petrochemicals industry. What are spreads and why are they important? 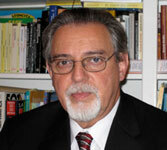 George Martin has been a commodities reporter since 1994, and an ICIS editor for more than 10 years. He has extensive experience covering Latin American polymers markets and joined ICIS Consulting in 2015. George is well known in the sector for his expertise on polymers pricing dynamics and logistics, and has become a frequent guest speaker at industry events. George has ample experience in Latin American crude oil and refined products coverage, as well as knowledge of the region, its potential and the current issues affecting it. This two-day course offers a comprehensive overview of petrochemical markets, looking at trade flows, regional dynamics, pricing, and factors driving the industry. It also offers expert insights into the outlook for petrochemicals.